With just a few hours of class a week, college may seem easier than high school, but professors have a completely different set of expectations about the kind of work you do, and they will expect you to do most of it outside of class, without their help. On the other hand, colleges have a lot of systems in place to help you succeed academically. Professors expect you to take advantage of these free resources, so don't wait until there's a problem. In fact, building relationships with professors and other campus professionals can be the best way to get letters of recommendation or valuable connections later. Most colleges have a campus writing center. Writing centers are staffed by students, grad students and professional tutors who are paid to support you to improve your writing. Click here to see a writing center in action. Then figure out where it is, how it works, and use it early and often! Use the writing center for your first paper or written assignment. It will be easier to get an appointment early in the semester. You will get help and build skills from the very start! Plan to use the writing center. Build time into your weekly schedule, make an appointment, and bring a draft to the writing center days or a week before the final draft is due. Some writing centers can support you online. Some writing centers allow drop-ins. Many writing centers require an appointment. Get something down on paper and then you can get help: You give it your best shot, get those ideas out of your head, print it off and look over it—and you turn in the draft to your professor. Then you have to take it back, learn what they’re looking for in this paper, make those corrections. If you’re still not happy with it or not sure what they want, take that second draft back to them, too. Say, “Can you look over this?” If they can’t, find somebody that can. Somewhere in your university, somebody knows how to write that paper. Most courses for undergraduates have office hours. Professors, and sometimes Teaching Assistants (TAs), are available to help you at specific times each week. These hours are posted on a class website and shared on a course syllabus at the start of a semester. Many students are hesitant to visit a professor or TA during office hours, but it's a great idea! You don't need to have a problem to visit a professor during office hours. Stop by with a friend to introduce yourself, or to ask a question about the class, or the assigned reading. Or click here for more specific tips about what to say. Visit a professor in a course or department that interest you early in the semester! Some undergraduate courses are big, and building a personal relationship will help you stand out from the crowd. Professors can do a lot for your college career. Having a good relationship with your professors could help you get internships campus jobs or teacher's assistant positions in the future! That’s probably the best way that you can let a teacher know that you want to learn and you’re in class. If you have any real valid questions, ask a question. Some teachers honestly don’t want to be bothered, but some love when you come to their office hours. They’re sitting in their office for an hour, and sometimes no students show up. And they kind of get bored, and they figure everybody’s learning. But that’s never the case. 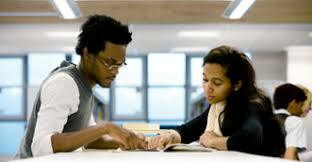 Most colleges offer academic tutoring at no cost. Tutors are often graduate students, or undergrads who are majoring in the subject-area. They work as tutors as a campus or work-study job. Tutoring is almost always included in the cost of your tuition, so take advantage! In high school, students think tutoring is only for struggling students. 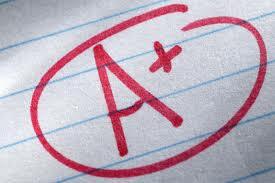 In college, students with the best grades are the ones who take advantage of tutoring and writing centers. Start early in the semester. You will have more choices between tutors, and you can book appointments in advance all the way through your exam weeks. These may fill-up later in the semester! Try different tutors until you find someone you can learn from. Even if they are not a lot of fun, if a tutor explains things in a way you can understand, it's a good fit!. When you find a good fit, make as many appointments as you need for the rest of the semester! The student tutors at the writing center had a background in English, and you could tell they knew what they were talking about. They worked with you, they took their time with you, and that’s how I really did good with English and got my skills up for writing research papers. Now I have this real good tutor for biology, and I’m trying to get her for chemistry, too. She is a student but she happens to be a really good teacher as well.